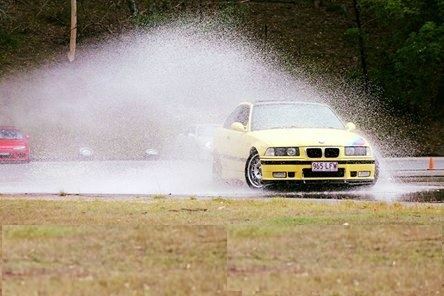 Come and join in the "Sideways Fun" at the BMWCQ August Skid pan session. This is the perfect place to hone your vehicle control skills, whilst letting out your inner hoon at the same time. :-) A qualified instructor is on hand, together with more experienced Club members - all of whom are more than happy to show you how to get the best out of your car - all in a safe and controlled environment. It's not about power or performance cars only! You can have just as much fun in a E30 318i as you can in the latest M car. It's about skill - not speed or power. The cost is just $120 for members for a morning of fun. There are a limited number of spaces for these events, so don't delay and put your entry in now so you don't miss out. If this is your first time, don't worry! As this is a BMWCQ Event, you don't need to worry about 'fitting in' or 'looking like a newbie'. All our events are very inclusive and you'll feel right at home.